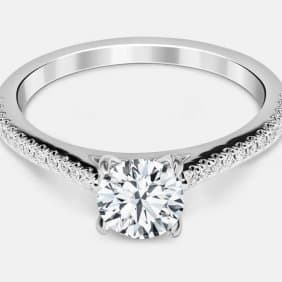 [/vc_column_text][/vc_column][/vc_row][vc_row][vc_column][vc_custom_heading text=”Pre-Designed Engagement Rings in Toronto” font_container=”tag:h1|font_size:52px|text_align:center|line_height:100%25″ use_theme_fonts=”yes” el_class=”cardo title-mp-remove”][vc_empty_space height=”70px”][/vc_column][/vc_row][/vc_section][vc_section][vc_row][vc_column width=”2/3″][vc_custom_heading text=”Engagement rings are a beautiful way to say “I love you”. 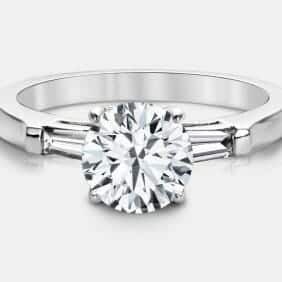 They show your compassion, pride, and confidence in the relationship. 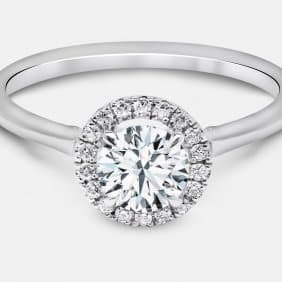 Let our expert team guide you along the process to find your perfect ring.” font_container=”tag:p|font_size:36px|text_align:left|color:%2390856b|line_height:120%25″ use_theme_fonts=”yes” el_class=”cardo title-mp-remove w3c-spt”][vc_empty_space height=”50px”][vc_custom_heading text=”6 Reasons Why You Should Consider an Engagement Ring From Jacob Mercari:” font_container=”tag:p|font_size:36px|text_align:left|line_height:120%25″ use_theme_fonts=”yes” el_class=”cardo cardo-bold w3c-spt”][vc_custom_heading text=”Personalized Engagement Rings” font_container=”tag:h2|text_align:left|line_height:100%25″ use_theme_fonts=”yes” el_class=”cardo cardo-bold”][vc_custom_heading text=”Our Custom Rings Are Handcrafted to Fulfill Your Dream” font_container=”tag:h4|text_align:left|color:%2390856b|line_height:120%25″ use_theme_fonts=”yes” el_class=”cardo cardo-bold”][vc_column_text]While we do offer a wide range of pre-designed engagement rings, sometimes you have a unique vision of what you want. 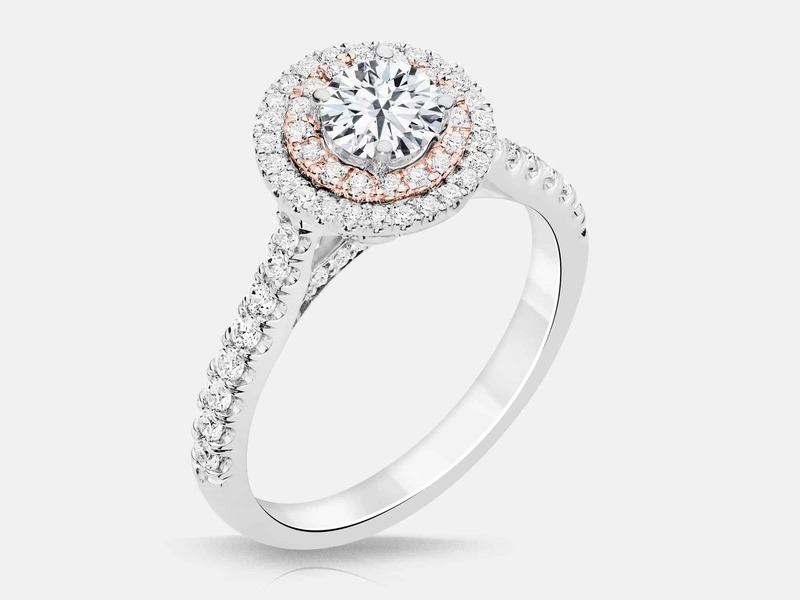 We can enable you to turn your vision into reality with our custom engagement rings. 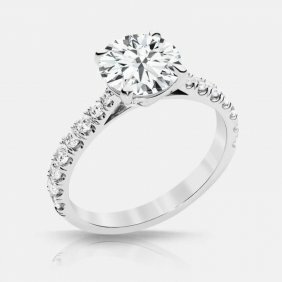 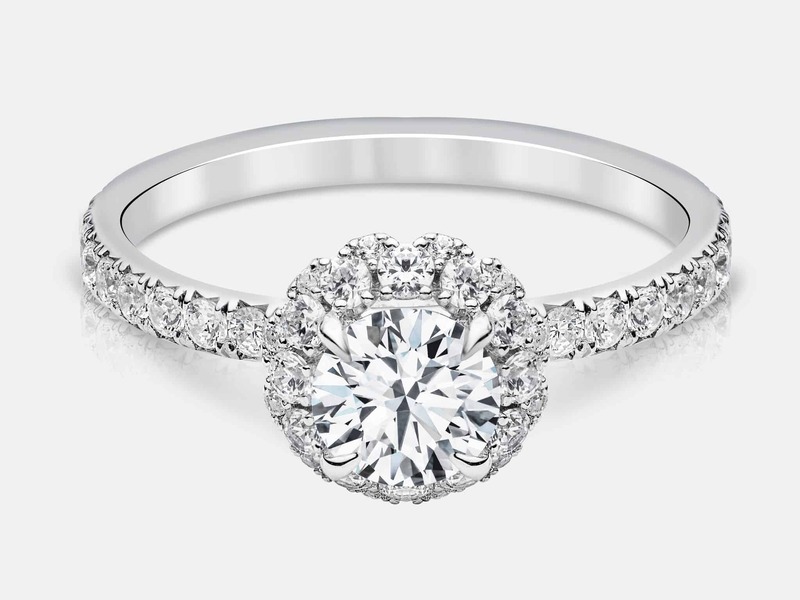 We start by consulting and working with you to create the design and drawing for your perfect engagement ring. 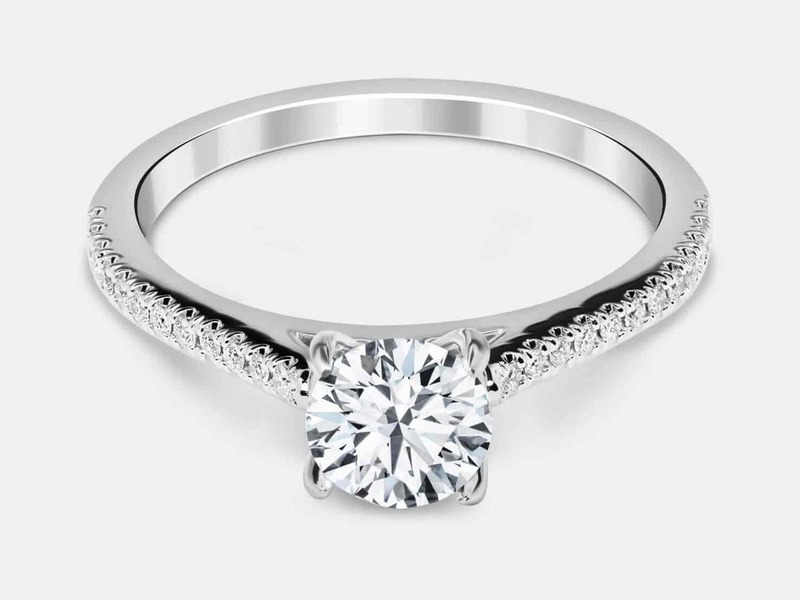 Once we have your perfect design, we can begin the process. 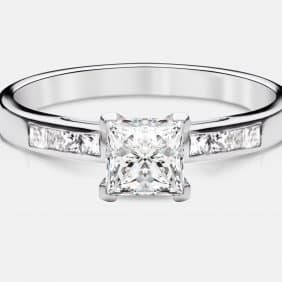 [/vc_column_text][vc_custom_heading text=”Ethical by Design” font_container=”tag:h3|text_align:left|color:%2390856b|line_height:100%25″ use_theme_fonts=”yes” el_class=”cardo cardo-bold”][vc_column_text]At Jacob Mercari we pride ourselves on making sure that all materials are ethically sourced. 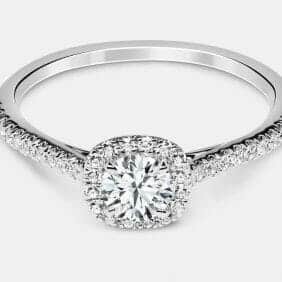 We are very selective about the partners that we work with in order to ensure that all materials are obtained in the most environmentally and ethically friendly manner. 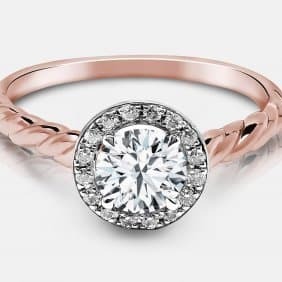 [/vc_column_text][vc_empty_space height=”30px”][vc_custom_heading text=”Beautiful Engagement Ring Designs” font_container=”tag:h2|text_align:left|line_height:110%25″][vc_column_text]The variety of styles we offer are designed to create a stunning range of beautifully designed rings. 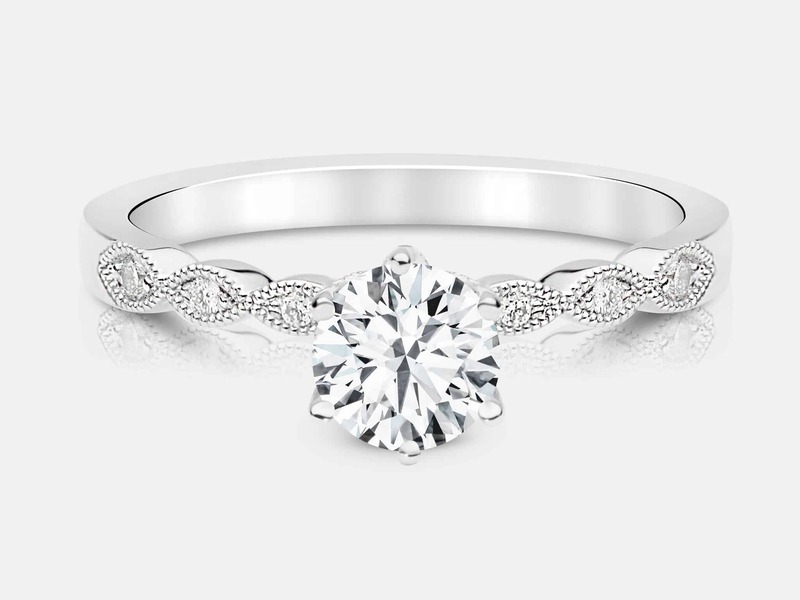 Each style creates a different expression. 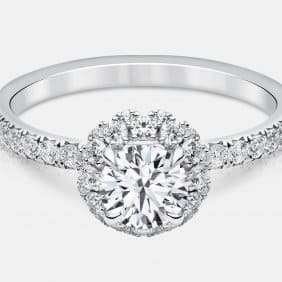 For example, our vintage style designs, which carry the prestigious grace of an heirloom made anew, ensure that styles from the past can continue to be created and cherished. 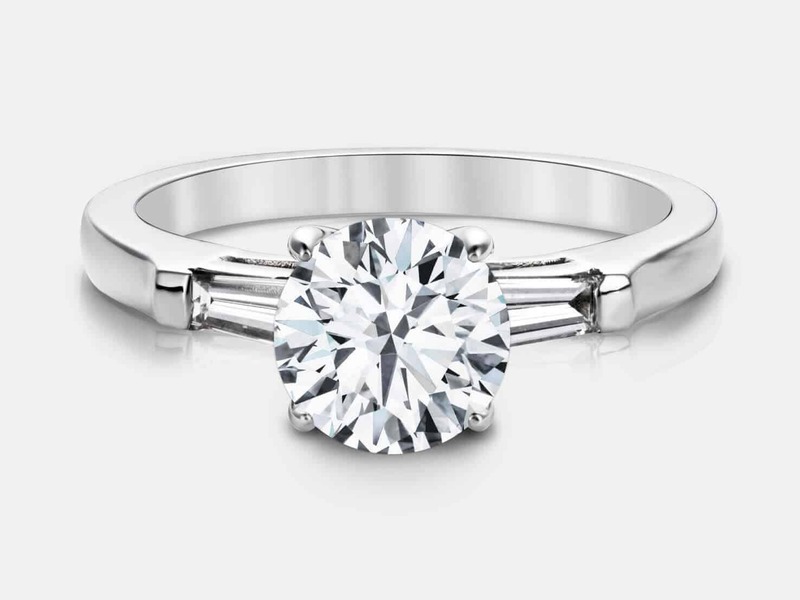 Solitaire rings use the simple elegance of the form to create sheer elegance. 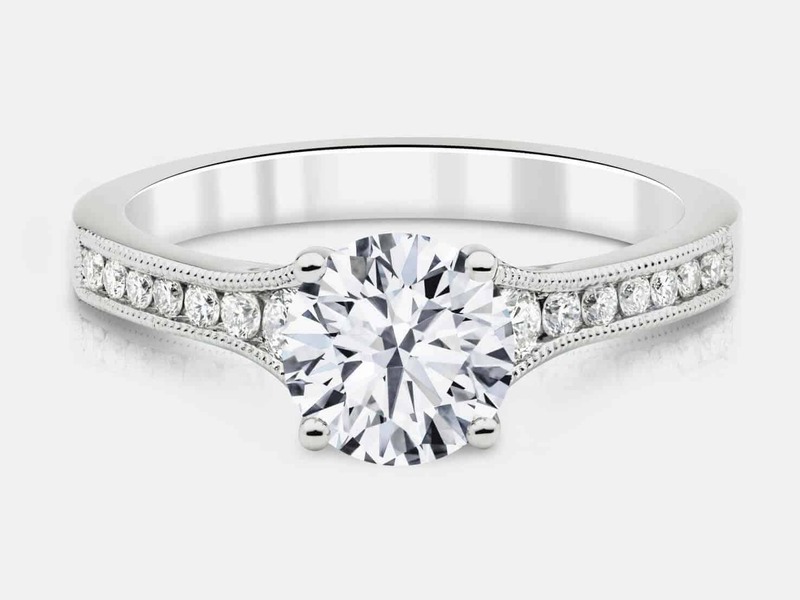 Three stone rings are an expressive statement of your relationship’s past, present, and future, immortalized forever in beautifully crafted works of art. 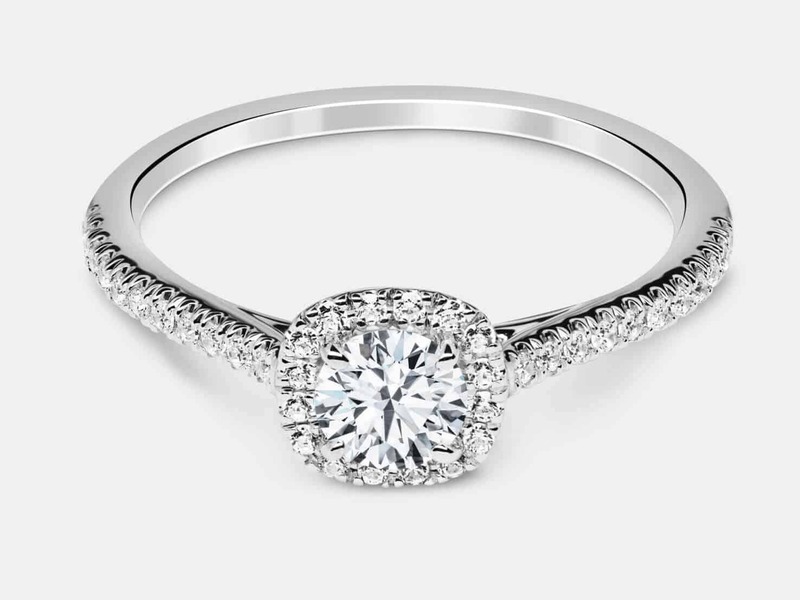 Adding diamonds to the side of the ring in the Micro-Pave style is an excellent way to add warmth and character. 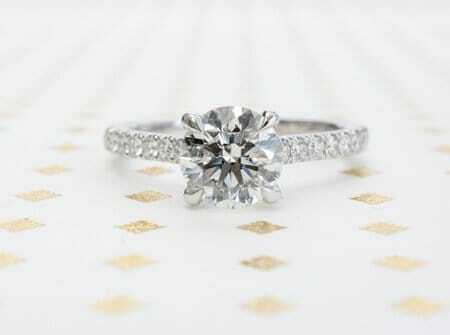 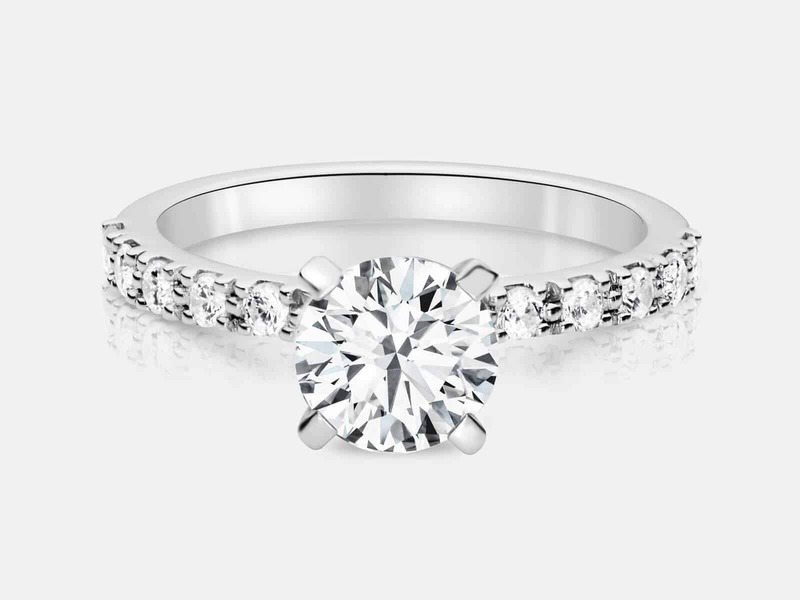 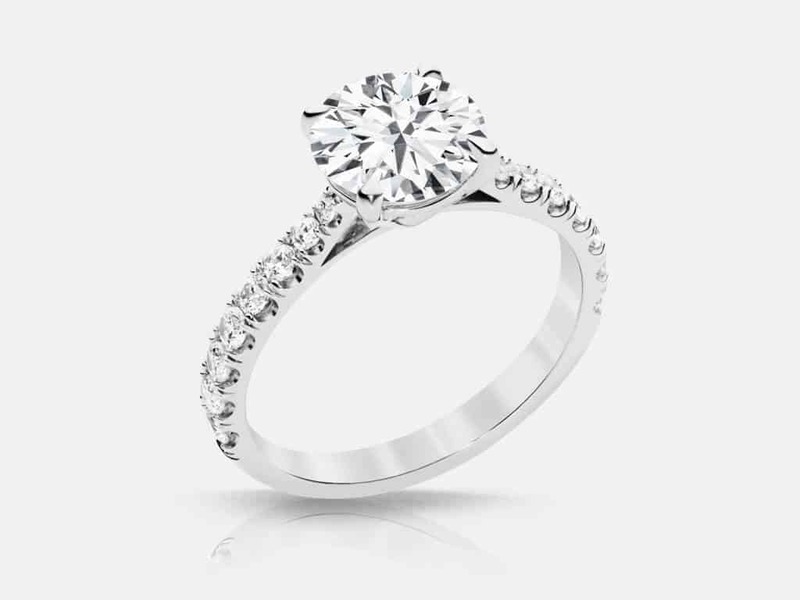 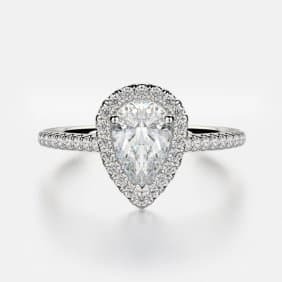 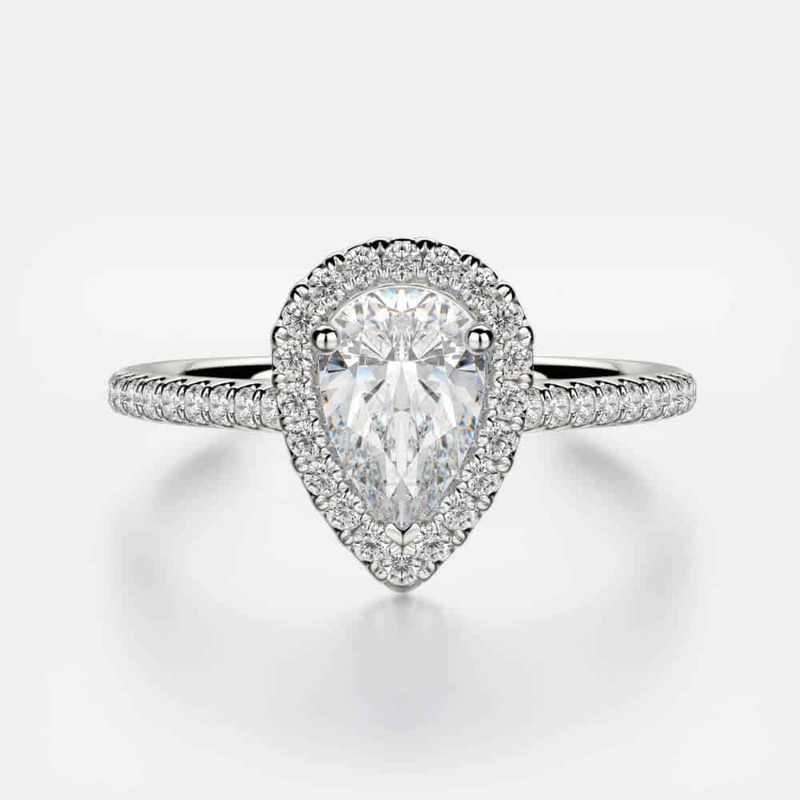 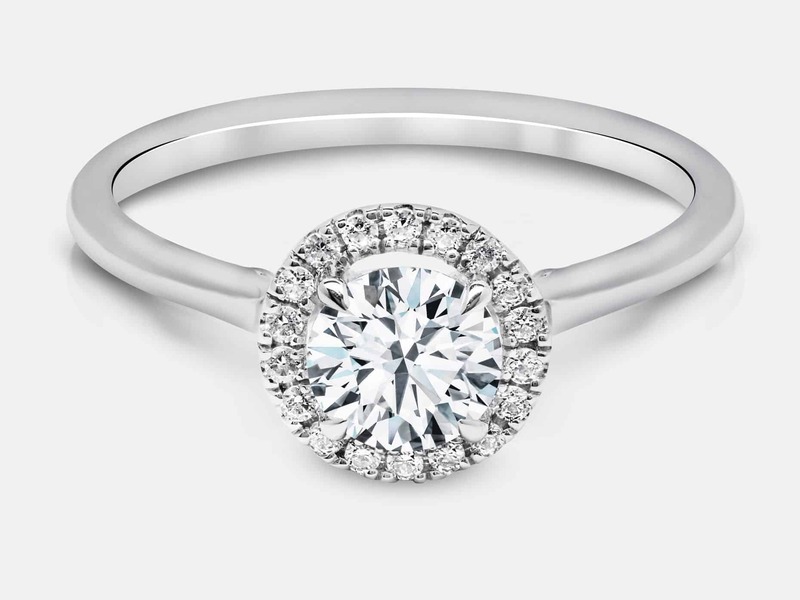 Halo style rings are the perfect way to accentuate the center diamond in order to show off its beauty. 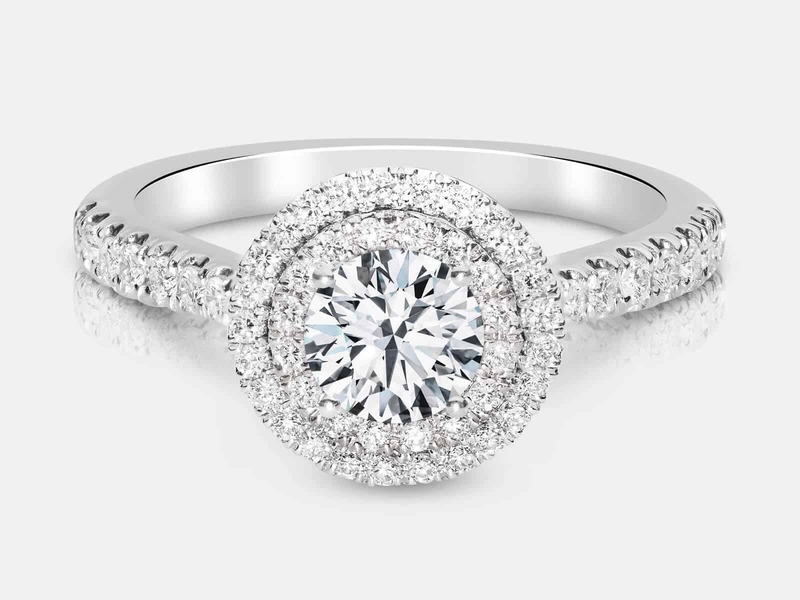 We use extremely precise techniques to ensure that all of our stones are as radiantly beautiful as possible. 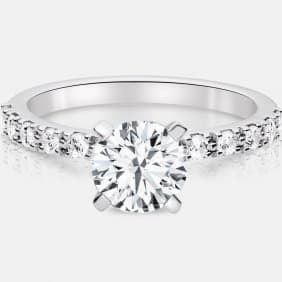 When you pick one of our stones, be it an Oval Cut, a Princess Cut, a Cushion Cut, or a Round Cut, you can be assured that the gleaming, polished gem was cut with the utmost care and precision. 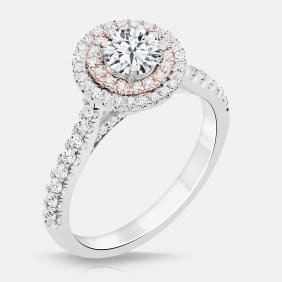 The high quality metals made with premium alloys on display in our rings are moulded with the utmost care into the gorgeous works of art that we offer. 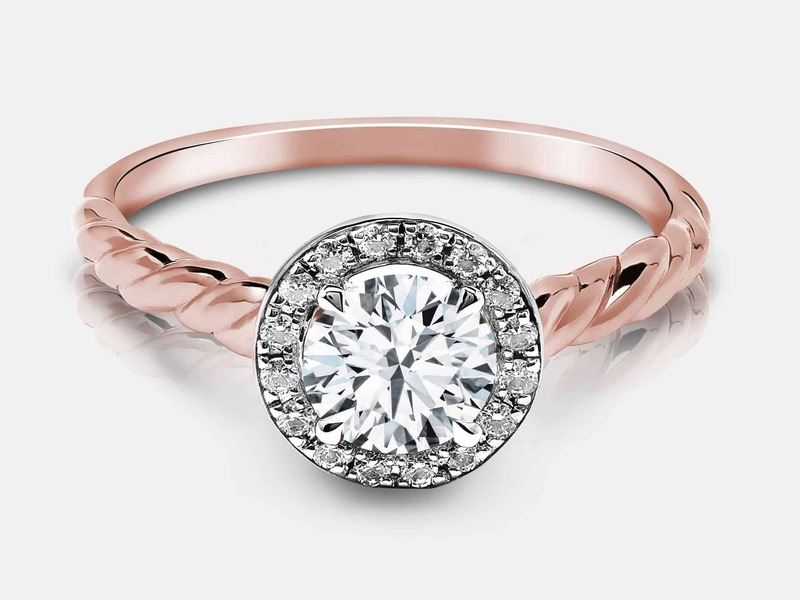 Whether it’s Yellow Gold, Rose Gold, White Gold, or Titanium, the craftsmanship of the rings as well as the settings are sure to impress. 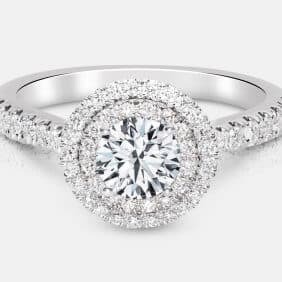 [/vc_column_text][vc_custom_heading text=”His and Hers Engagement Rings” font_container=”tag:h2|text_align:left|line_height:110%25″][vc_column_text]We offer a variety of both beautiful women’s engagement rings as well as striking men’s engagement rings. 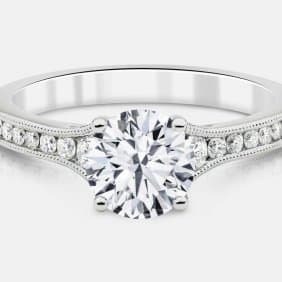 Both of these types of rings are made locally by our team of expert designers to ensure that the highest quality standards are met. 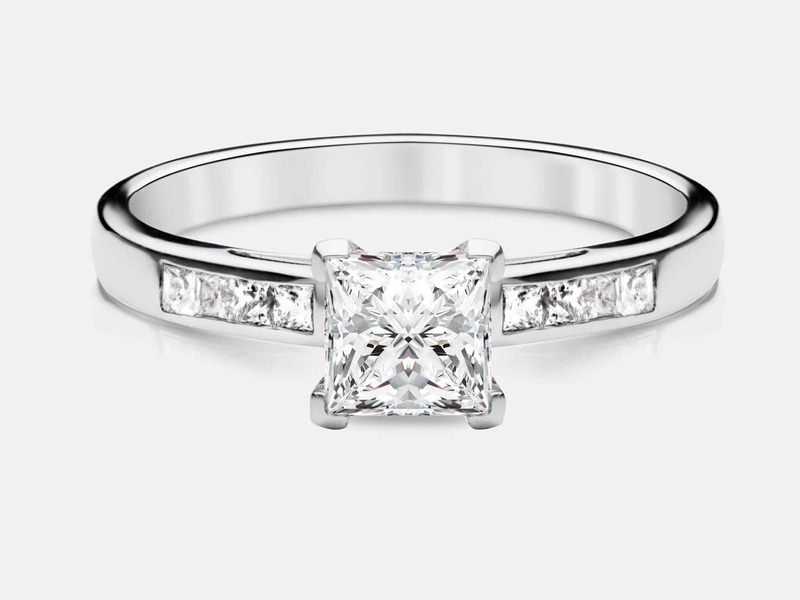 We pride ourselves on finding the best components for our rings and, from those, creating timeless works of art. 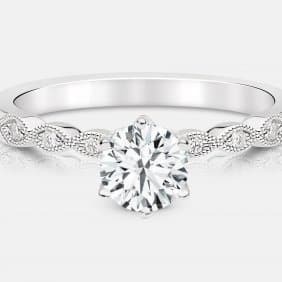 By intermingling our broad range of styles, stones, and metals, we’ve ensured that you’ll always be able to find the perfect combination for her. 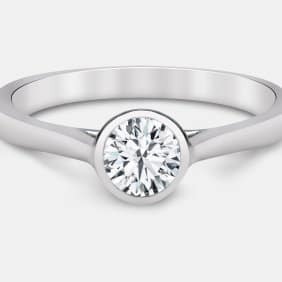 Our ethically sourced materials will ensure that you’re comfortable knowing that your purchase is funding local business. 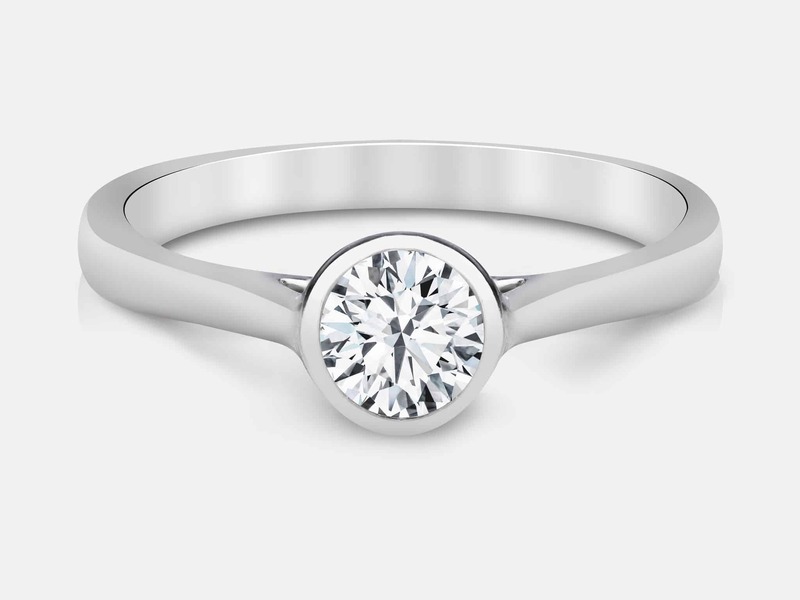 In addition to engagement rings, we also offer stunning pre-designed or custom wedding rings.